You are currently browsing the daily archive for April 20, 2007. 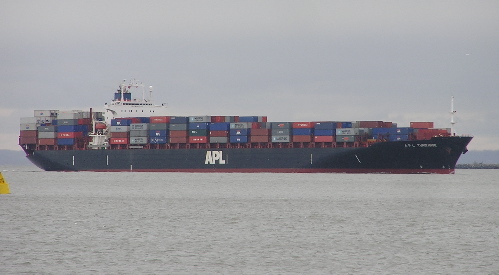 Tuesday April 17 this week I caught APL Turquoise entering the Narrows. Provenance? I’m guessing the United Kingdom. Reason? 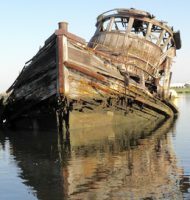 Check out this link; on April 12, it was at the dock in Felixtowe. Here’s another shot in Netherlands last summer. APL fleet info is here. I wish they did freighter cruises out of our port. Or do they? I’d pay to cross on one of these. Anyone tell of freighter cruising? Might Alice be willing to take passengers?